Younger students will love creating simple shapes with these geoboards. Older students will enjoy using them to explore symmetry, angles, and fractions. 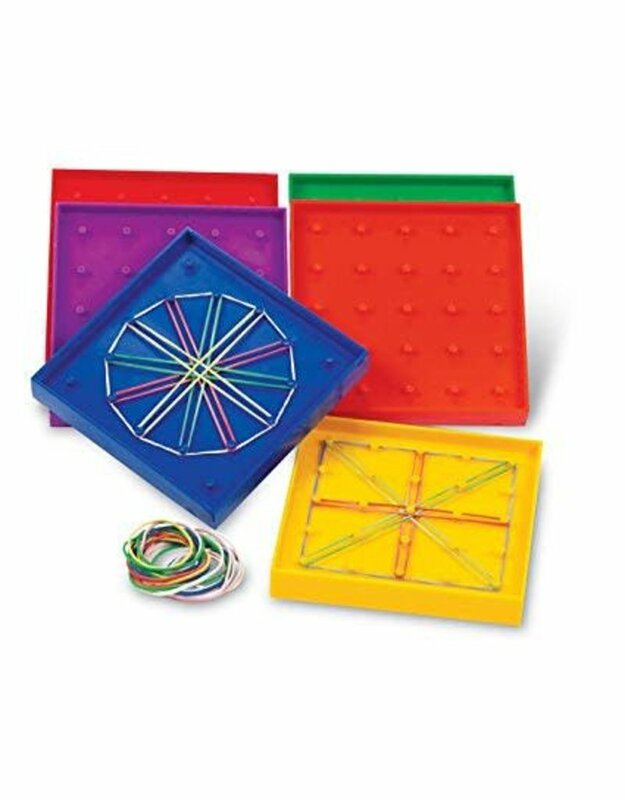 Each geoboard offers twice the fun and learning with a 5 x 5 pin array on one side, and a 12-pin circular array on reverse. Create almost limitless shapes. 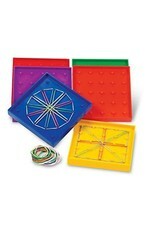 Set includes colorful rubber bands to get the fun and learning started. The pins on the geoboards feature umbrella heads to keep the bands securely in place. Each plastic geoboard measures 5" by 5" square, making them the perfect size for student desks, math centers, even on the go.